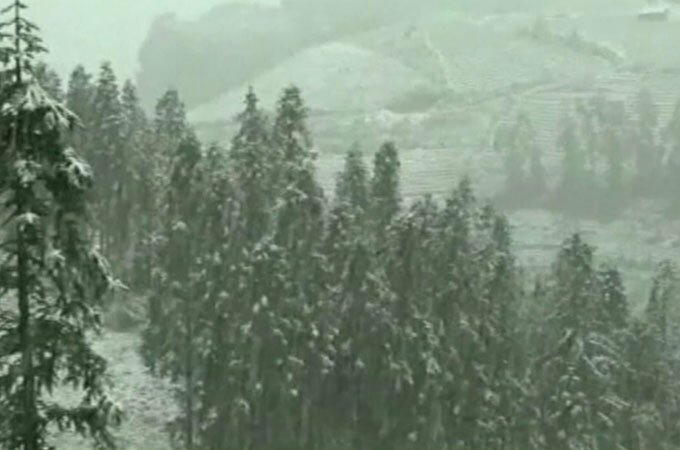 Snow has fallen in Northern Vietnam for the first time in many years. The snow caused a five-hour traffic jam as people drove into the mountainous provinces of Lao Cai and Ha Giang to see the wintry flurries. The weather system responsible for the snow has also brought some unusual weather to other parts of the region. This is normally the dry season, but torrential rain has been lashing Laos, Vietnam and southeast China. Oudomxay in Laos reported 142mm of rain in a 24 hour period and Zhanjiang in China’s Guangdong province, reported 102mm. For Zhanjiang, this is three times the amount of rain that is expected in the entire month of December. The torrential downpours have caused flooding in parts of the region, which has inundated peoples' homes and made roads impassable. Conditions across the region are expected to improve over the next few days. The rain will slowly edge eastwards and subside.